The Unit provides a focus for research and development into the relationship between the housing environment and health. Its work has focused on the underlying health basis for housing standards and their application. Current interests include - unintentional home injuries; carbon monoxide poisoning in dwellings; indoor air quality in dwellings; residential energy precariousness; the legal environment of housing in different countries; crowding, density and health; and the cost to society of poor housing. The Unit has a reputation for high quality research and specialises in policy relevant research and development. It aims to ensure the outcomes of any work are practical, effective, and policy orientated. The Unit is particularly interested in collaborative, inter-disciplinary work. David Ormandy is head of the Unit. David specialises in the formulation of standards, the relationship between the environment (particularly the housing environment) and health, and the health-based assessment of conditions. Professor Gillian Lewando-Hundt . Gillian is Professor Reponsible for the School of Health and Social Studies, and co-director of the Institute of Health. Gillian has a background in social anthropology and sociology. Dr Véronique Ezratty MD . Véronique is a medical doctor based in the Service des Etudes Médicales d'EDF (France) where she is responsible for various topics including Indoor Air Quality, Healthy Buildings, Energy Precariousness, Climate Change, and Endocrine Disruptors. Dr Stephen Battersby . Stephen is an environmental health practitioner. He acts as a consultant to local authorities, advising on development of private sector housing strategies and administration of grants and other forms of assistance. 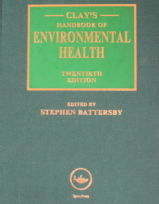 Stephen is a past President of the Chartered Institute of Environmental Health. John Bryson. John is a chartered environmental health practitioner and consultant, specialising in housing standards and strategies. Professor Elizabeth Burton . Elizabeth is professor of Sustainable Building Design and Wellbeing. Her interests are in the social aspects of sustainability and how the built environment influences people's wellbeing, quality of life and mental health. Elizabeth has particular expertise in ageing research, including dementia-friendly design. Dr Lynne Mitchell . Lynne is a Senior Research Fellow in the Institute of Health. Her research interests lie in how the built environment can be designed or produced to enhance local social sustainability, particularly the wellbeing and health of residents and other users. Lynne has particular expertise in researching the needs of older people in the built environment. Véronique Ezratty and David Ormandy are collaborating on a review of health, energy, and energy precariousness. Véronique and David gave presentations at a workshop on the co-benefits of weatherisation organised by the International Energy Agency in January 2011 and also at an IEA workshop on evaluating the multiple benefits of energy efficiency. Véronique and David have also collaborated on studies into knowledge and awareness of the risks from Carbon Monoxide among the student population and among housing association tenants (both supported with funds from the Gas Safety Trust), and have made several presentations on these two studies at both national and international conferences (details of presentations etc ). Two reports are now available - Report on the Survey of Students , and Report on the Survey of Public Sector Tenants . David Ormandy has been invited to be a member of the Healthy Housing Guideline Development Group organised by WHO, Geneva. David is also working with the US Department of Housing and Urban Development (HUD) on the adoption of the English Housing Health and Safety Rating System (on which see below) for use in the USA, renamed as the Healthy Home Rating System . HUD has now made it a condition of the grants it awards to organisations involved in housing initiatives that the HHRS is used to assess the condition of dwellings. Thermal Comfort. Véronique Ezratty and David Ormandy co-authored a paper on the development of the WHO guidance on thermal comfort - Ormandy D, and Ezratty V (2011) 'Health and thermal comfort: From WHO guidance to housing strategies'. Energy Policy (2011), doi:10.1016/j.enpol.2011.09.003. Devon - Older Persons Housing Study. Commissioned by a consortium of authorities in Devon, this study investigated the services and support available to older people, particularly support to enable them to remain as indendent as possible in their own home. The study was carried out by David Ormandy, John Bryson, Peter Ambrose (University of Brighton) and Stephen Battersby. The report is available here . Policy and Strategy for Improving Health and Wellbeing. Based around a core competence for public health practice, it takes a national perspective and gives examples of policy in action. Edited by Elizabeth Porter and Lesley Coles (University of Southampton), chapters include Tackling Health and Social Inequalities, Child Poverty, and Communities and Health. With Jenny Hacker and Peter Ambrose, David Ormandy co-authored the contribution on Social Determinants of Health - Housing: a UK Perspective. Further details from Learning Matters. Clay’s Handbook of Environmental Health, since its first publication in 1933, has provided a definitive guide for the environmental health practitioner or reference for the consultant or student. This twentieth edition continues as a first point of reference, reviewing the core principles, techniques and competencies, and then outlining the specialist subjects. Although focused on the curriculum of the UK’s Chartered Institute of Environmental Health and dealing with the UK situation, underlying this are international public and environmental health principles which should, taking account of the impact of climate change, readily suit the generalist or specialist working outside the UK. This edition was edited by Stephen Battersby, and includes contributions by John Bryson and David Ormandy. 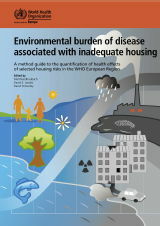 Environmental Burden of Disease associated with inadequate housing: Methods for quantifying health impacts of selected housing risks in the WHO European Region. This publication reviews the evidence on exposure to housing-related hazards and associated health effects, and provides guidance on how to quantify health impacts from inadequate housing for selected housing risk factors. The environmental burden of disease is estimated for eleven housing hazards, providing methodological examples for the housing and public health community to further quantify the health impacts of inadequate housing conditions. With Matthias Braubach and Dave Jacobs, David Ormandy co-edited the report, and was co-author of several chapters. The summary and full report can be downloaded free of charge. Health Impact Assessment of the Decent Homes Programme - Local authorities are responsible for delivering the Decent Homes Programme in the private sector - a programme of housing interventions to improve the houses occupied by vulnerable households. David Ormandy, Stephen Battersby, and John Bryson, working with the Building Research Establishment, reviewed the activities of six local authorities, comparing the one-off cost of the works to improve houses with the estimated annual cost saving to the National Health Service. Download the report - Linking Housing Conditions and Health. Unintentional Carbon Monoxide Poisoning in Dwellings: A pilot study in two countries - The two countries were France and England, and the study was carried out by Véronique Ezratty and David Ormandy. The study reviewed the policies and practices in France and England with the aim of identifying good practice that could be transferable. The study also looked at information collected that could inform preventative policies and practices. The project provides a framework and foundation for the comparison of policies, practices and actions in other countries. The findings were presented at the Healthy Buildings conference 2009. The paper can be downloaded here. The Right to Housing: A People's Inquiry - Supported by the Participation and Practice of Rights Project, the Seven Towers Residents' Group held a 'public inquiry' in June 2010. Evidence was presented by residents and experts, including David Ormandy, on the conditions at the Seven Towers Estate in Belfast. A report on the findings and recommendations was produced highlighting the problems and the reactions from the Northern Ireland government. Decent Homes - The Unit acted as consultants to CRESR at Sheffield Hallam University on a study into the health impact of the Decent Homes programme. CRESR used the principles of the Housing Health and Safety Rating System (on which, see below) to esimate the health gains from housing improvement work undertaken by Sheffield Homes Ltd as part of their Decent Homes programme Similar projects have been undertaken in Ealing (London), Deeside, and Leeds. The Sheffield report is available here - Decent Homes: Better Health . 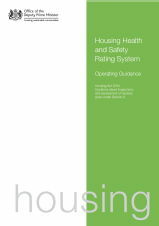 Housing Health and Safety Rating System (HHSRS) - Members of the Unit, including Stephen Battersby and David Ormandy, were responsible for the development of the original version of the Housing Health and Safety Rating System (HHSRS), Version 1 of which was first published in July 2000 by the Department of the Environment, Transport and the Regions (now the DCLG). Members of the Unit continued to be involved in the development of the HHSRS, including preparation of Worked Examples to illustrate the application of the HHSRS, and, with the London School of Hygiene and Tropical Medicine, refined and updated the statitiscal evidence informing the HHSRS (2003). They then updated and revised the Guidance to produce Version 2 to coincide with the consideration of the Housing Bill by Parliament in 2004. Subsequently, after final revisions by members of the Unit, the Guidance became the Operating Guidance issued under s9 of the Housing Act 2004 to provide the technical support when the HHSRS was introduced by Regulations on 6th April 2006 as the prescribed method for assessing housing conditions to determine whether enforcement action under Part 1 of the 2004 may be appropriate. They were also responsible for the preparation of non-technical Guidance on the HHSRS for landlords and others. 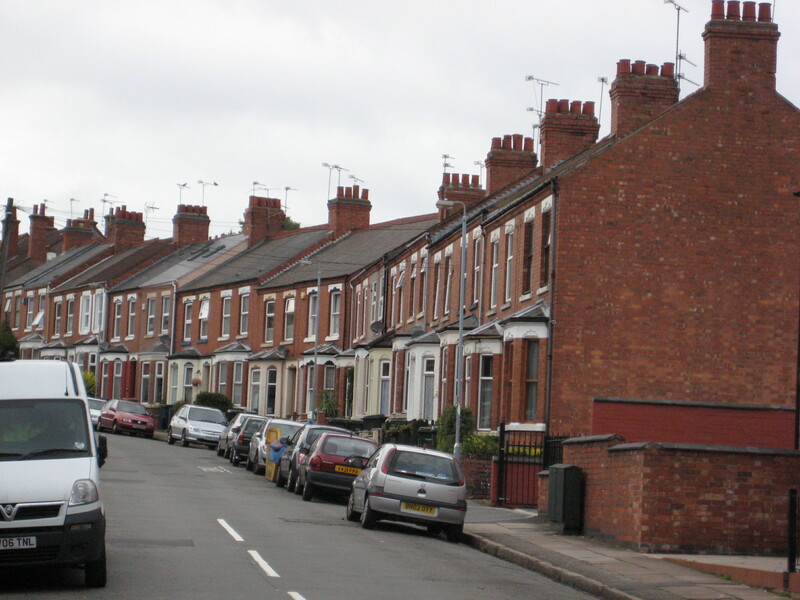 Unhealthy Housing: research, remedies, and reform - Professor Roger Burridge (of Warwick Law School) and David Ormandy co-edited this work giving an analysis of research into the health implications and significance of housing conditions. Key experts present short chapters, together with an overview to give an evaluation of the significance of housing on the health of occupiers. Further details can be downloaded here . Buildings and Health Review: Implications for the Housing Fitness Standard (1993). The 5th Warwick Healthy Housing Conference was held on 17th - 19th March 2008. Copies of the papers will be made available on this web-site soon. The Unit organised an international conference, Healthy Housing: promoting good health, held on 19th - 21st March 2003 at Warwick University. Copies of papers given at these conferences are available from the Unit.